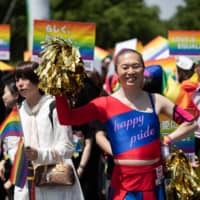 Scientists have found three glaciers in Toyama Prefecture, the first recognized in Japan and the southernmost in East Asia. 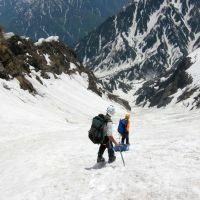 Researchers from the Tateyama Caldera Sabo Museum discovered the three slow-moving chunks of ice in the Hida Mountain Range, otherwise known as the Northern Alps. Their research paper submitted to the Japanese Society of Snow and Ice was accepted Tuesday, the museum said. A glacier is defined as a large mass of ice that over many years “flows” owing to its great weight, according to the Japanese Society of Snow and Ice. They are often found on high mountains, such as the Himalayas, and have even been found on Mount Kilimanjaro, which is almost on the equator. Until now, the southernmost glaciers in East Asia were on Russia’s Kamchatka Peninsula. “We have known something similar to glaciers existed, so we checked to see if the masses of ice are moving,” said Hajime Iida, a researcher for the museum. 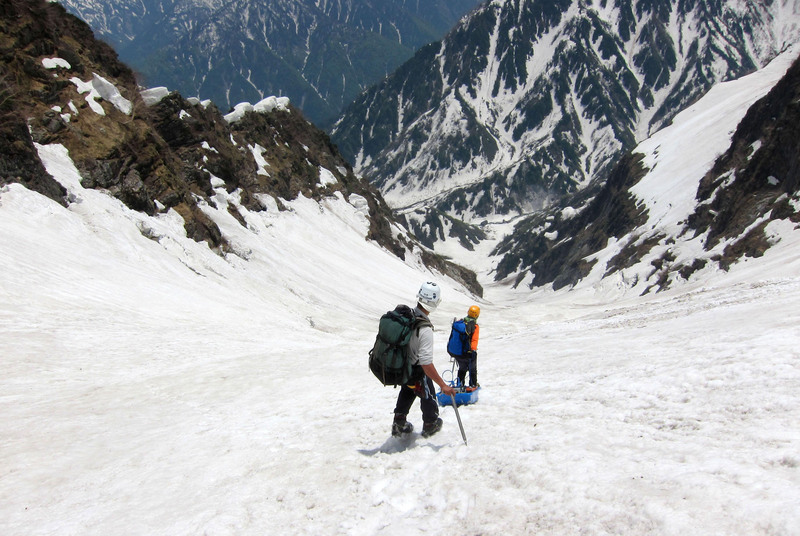 Between 2009 and 2011, Iida’s team used “ice radar” to find two glaciers on Mount Tsurugi and one on Mount Tateyama. Ice radar sends electronic waves into the ice to measure how thick it is. Using GPS, the team confirmed that the masses of ice are moving between 10 and 30 cm a month. The masses are 27 to 30 meters deep and 400 to 1,200 meters long. The Japanese Society of Snow and Ice will publish the research paper in its journal Seppyou (Snow and Ice) in May, the museum said in a news release. “The group used the latest equipment to research the movement of ice chunks very concretely. The value of this research is high,” said Keishi Ishimoto, the journal’s chief editor. There is no international organization that officially recognizes glaciers. 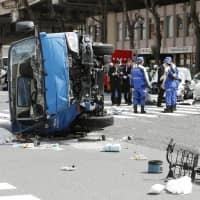 Therefore, unless researchers abroad express opposition to the group’s paper, it would be fair to say that the three masses of ice are indeed glaciers, Iida said.